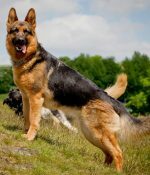 This section covers daily news and stories about German Shepherd both globally and within the territory of Afghanistan. What do you know about German Shepherd dogs? What are Afghanistan’s pets import regulations?